An Otoscope is known also as a auriscope, and it’s a medical device that can be used to examine a patient’s ears during exams. It can also be used at home by parents to examine their children’s ears for at home health checkups, and it also works to screen for illnesses for all ages. Regular checkups also use the Otoscope to scope out the ear canal, and look at the tympanic membrane and eardrum. At home, Otoscopes can use used and we have a choice of them available to review, and to see which are best for home usage, and which cut the grade for the best, best for a budget, and best for the money. This is considered by us the best otoscope on the market! 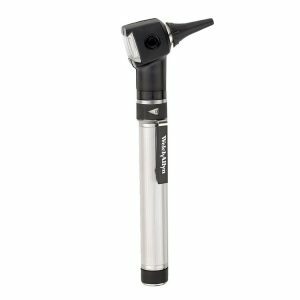 When looking for an Otoscope, by far the best available choice on the market today is the Welch Allyn PocketScope Otoscope with Rechargeable Handle. Made out of quality stainless steel and medical grade construction, it features a halogen light for true tissue color and consistent long lasting illumination. The fiber optics also provide cool light without any reflections or obstructions, which can be crucial when looking at one’s ear canals. The Welch Allyn PocketScope Otoscope with Rechargeable Handle also has a wide-angle viewing lens for looking at items under magnifications, and features a sealed system for pneumatic otoscopy. You will also be able to recharge it at a moments notice, as the handle is rechargeable and that makes it easier to use when needed. 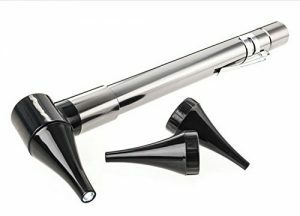 It comes highly recommended, is called a complete otoscopy by many, and is a great choice overall for choosing a Otoscope today. As medical grade Otoscope’s can get quite expensive for the home nurse, and home mom, finding one that gives you all the professional features and a great choice for the money makes sense. That is when the RA Bock 3.2V Bright White LED OTOSCOPE SET comes into the mind of the consumer. The RA Bock 3.2V Bright White LED OTOSCOPE SET comes with a disposable specula adaptor, 3 sizes of reusable specular, and a leatherette case. It is scratch resistant, and a great glass lens featuring 5X magnification. 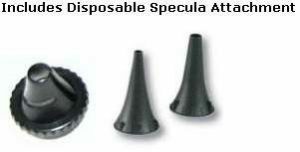 The disposable specula adapter is perfect for children, as it reduces the risk of spreading infection. The bright white LED gives buyers a long lasting bulb life and a long battery life as well. 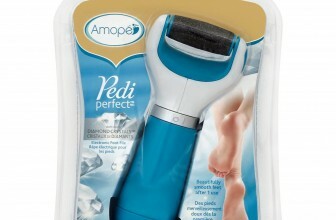 It uses 2 standard C batteries, and also can be used with rechargeable batteries. 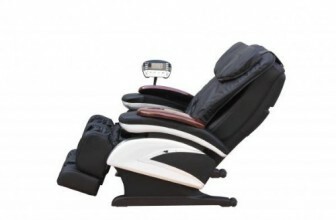 Additionally, other accessories are available from the manufacturer’s website at RA Bock. 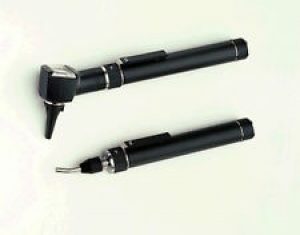 For the money, the RA Bock 3.2V Bright White LED OTOSCOPE SET is a great choice as a otoscope for the money decision. Let’s be frank, and know that not everyone has a Doctor at home, and many times mom plays the best Doctor around. Mom’s always are able to tell when their children are sick, and have the perfect set of tools to use. Now, they can have a top otoscopy for the budget, with the Dr Mom Otoscopes – Third Generation Slimline Stainless LED Pocket. This line of otoscope’s is made for the Dr Mom. and is geared to last the life of your children. The Dr Mom Otoscopes – Third Generation Slimline Stainless LED Pocket features a reliable click-on and click-off switch, a link to over 30 different high-resolution photos of eardrums to compare the children’s hurting ears too, and also includes two specula, for different ear sizes. It also includes links to the docmom.com website where additional accessories can be purchased for the otoscope. This otoscope is perfect for the budget focused mom, and one who wants to have an otoscope at home for any ear related problems with their children. Why You Need An Otoscope? One needs an otoscope if they have children or loved ones with ear problems often, and want to be able to take a look at their ear canal’s without going into the Doctor’s office. Office visits can be quite expensive, and having an Otoscope at home can minimize medical visits, and let you know when someone needs to visit the physician or not. Mom’s also need an Otoscope to tell when their children are sick, having ear pain, or earaches. Lots of times, children will complain about ear pain, and mothers won’t have the set of tools at home to take car of this pain, but now they can. If it’s the best Otoscope available, one for the budget, or one for the money, they can have an Otoscope at home for their children within a few short days. 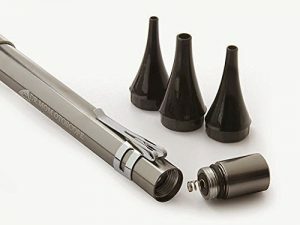 When you are looking for the best possible Otoscope on the market today, you are probably looking for one that physicians and professionals would use in their offices, and one that you can use at home with your children, and have the guidance of the device in your hands when diagnosing your children. That perfect Otoscope would be the Welch Allyn PocketScope Otoscope with Rechargeable Handle. This is the top notch Otoscope on the market today, and is one of the best made Otoscope’s on the market as well. What really makes the Welch Allyn PocketScope Otoscope with Rechargeable Handle shine among others, is its quality craftsmanship and construction. It is not made of plastic or cheap materials, but is a stainless steel made device, and comes with high quality features as well. You can start with the Halogen light to detect true tissue color and consistency, and that means the light lasts longer, and tells the true colors of the ear canal when you need it. Second, is the fiber optics inside the Otoscope, which give a cool light off, and it doesn’t give any reflections or obstructions that cheaper and lesser made Otoscope’s might include. The at home mom or amateur physician will find the Welch Allyn PocketScope Otoscope with Rechargeable Handle to have a wide-angle lens to view the ear and ear canal, and they will be able to take certain areas of the ear canal under magnification as well. This is perfect for isolated areas of the ear, and hard to reach areas of the ear as well. It also has a sealed system for pneumatic otoscopy, and that means nothing can get inside the device when in use. The Welch Allyn PocketScope Otoscope with Rechargeable Handle features a rechargeable handle as well, and that really sets it apart from the other Otoscope’s as well. Medical grade Otoscope’s aren’t run with batteries, and are rechargeable like this. This also means that it can be used at any hour of the day or night, when your children or loved ones have ear issues, and need to be looked at closely. Fussing around for missing batteries or connections can cost you added time, and those minutes can matter if you need to rush off to a emergency room, urgent care, or physician’s office. The Welch Allyn PocketScope Otoscope with Rechargeable Handle is often called the perfect Otoscope for the home, and is a complete Otoscope at that. Standard insufflator bulbs also work on this model, and it’s often used by Doctor’s in their own practices. This model is the top notch Otoscope around, and the Welch Allyn PocketScope Otoscope with Rechargeable Handle will certainly not disappoint those looking for the best Otoscope around today. For many, spending well over $100 for an Otoscope isn’t really anything they are interested in, and having an Otoscope in the home is a nice idea, but one that can deliver for the money is the ideal goal. Often, ear pain and earaches can come on a frequent to infrequent basis, but having an Otoscope in the home can be a great thing. For them, the RA Bock 3.2V Bright White LED OTOSCOPE SET is perfect, and often comes in under $100, which makes it perfect for the home mom and parent. The RA Bock 3.2V Bright White LED OTOSCOPE SET is made by RA Bock Diagnostics, and it features a disposable specula adapter, and up to 3 different sizes of reusable specula. 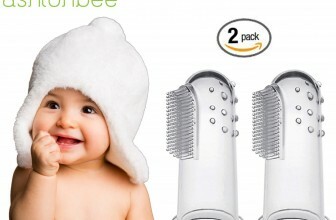 This makes it ideal for the whole family, as many children have different ear sizes and ear canals. It also comes with a zippered leatherette case for permanent storage in the medical cabinet when not in use. The RA Bock 3.2V Bright White LED OTOSCOPE SET features a scratch resistant glass lens and has up to 5X magnification, which is quite perfect for home use. Many parents and users won’t exactly know what they are looking for, but will have an idea with this type of magnification. Also, other types of disposable specula work with this model, and that helps it to keep the reduced risk of spreading infection key. It’s bright white LED illumination with LED, give it an advantage among other Otoscope’s on the market, and give it long battery and bulb life. You won’t have to replace the LED light often, and that can often be the most expensive part of the Otoscope to fix, when you buy a cheaply made one. 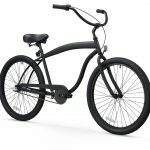 It is powered by 2 standard C batteries, which can be purchased anywhere, and you can even use rechargeable ones if needed. RA Bock features a number of other Ophthalmoscope and Otoscope kits that can be used with the RA Bock 3.2V Bright White LED OTOSCOPE SET, and that shows the company’s dedication to the product, as they make it and others. This is the latest model made by RA Bock, and comes with a 30-day money back guarantee and 3 year warranty to back it up as well. Many people love the RA Bock 3.2V Bright White LED OTOSCOPE SET as it comes with everything they need, and is perfect for the home, student learning, and for Dr Mom. It can be used to tell when to take your children to the physician, and at an affordable price, can tell the parent not when to goto the physician as well. Parents can save money by purchasing the RA Bock 3.2V Bright White LED OTOSCOPE SET, and save expensive visits, co-pays, and emergency room visits with it as well. For the budget minded buyer, the RA Bock 3.2V Bright White LED OTOSCOPE SET is a perfect Otoscope for them, and perfect for a home based parent or loved one who faces ear pain and earaches with children and other loved ones. A Doctor Mom can be described as almost any parent in the world, who takes care of their children on a daily basis, and one who listens to their children’s aches and pains whenever they occur. Most parents know that ear aches and ear pains are often some of the most disturbing pains for children, and having an Otoscope on a budget can be valuable. For them, the Dr Mom Otoscopes – Third Generation Slimline Stainless LED Pocket is a perfect choice. When you buy the Dr Mom Otoscopes – Third Generation Slimline Stainless LED Pocket, you are getting a well made product on a budget, and something that you can use to peak inside your loved one’s ear, see if they need to visit the doctor/physician, and then go from there. Reviewers love the product as well, and are often astonished on what they see inside the ear from an educational standpoint as well. The ear is often the entry point to infections and problems, and keeping an ear canal clean and healthy is very important. A budget minded Dr Mom or parent will find the Dr Mom Otoscopes – Third Generation Slimline Stainless LED Pocket a perfect home based Otoscope and one that can be used for years. Some even use it for their pets as well, and while it’s probably not meant for pets, it can be used for dog ears to examine as well. It’s a perfect budget minded pick, and an Otoscope that can last years for almost any parent or Dr Mom. The Dr Mom Otoscopes – Third Generation Slimline Stainless LED Pocket is less than $35 overall, and can be put inside any medical cabinet for their loved ones ear pains. This Otoscope is made for the home use, and features a proprietary true view full spectrum LED white light. This means that the parent can view the ear canal and ear with no problems, and see any discomforts that the child or loved one has occurring. The home parent might not know what they are looking at when using the Otoscope, so the Dr Mom Otoscopes – Third Generation Slimline Stainless LED Pocket features over 30 high resolutions photos and detailed instructions to compare the ear canal to during their examination. This makes it perfect for a quick glance inside the ear, then a quick visit to the computer, and then a quick diagnosis of the situation. One will see that the Dr Mom Otoscopes – Third Generation Slimline Stainless LED Pocket features a quality made bulb as well, and it doesn’t feature any type of fragile filaments that could cause it to fail or not work, as some have done with Halogen lights. It comes with a complete instruction sheet, 2 batteries, 3 reusable specula, and can be used with infants, children, or adults of any size. When you are looking for an Otoscope, you will need to know why you are looking for one, who is the intended use for it, and what kind of Otoscope you are looking to purchase. 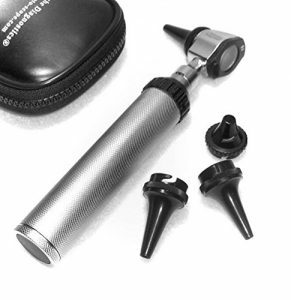 Otoscope’s as we have described, come in a number of styles, feature sets, and quality builds. 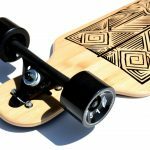 You can spend a few dollars on one, or several hundred dollars, just depending on your intended use. Otoscope’s are perfect for the children’s ears, adult ear’s, infant ear’s, and even pet ear’s if you need. If you are cost minded, budget minded, or just want the best out there, look at what is available, examine what you will need it for, make sure you don’t underestimate the usefulness, and find one for your needs. It can save money of future Doctor visits and ER visits, and is a valuable addition to any medicine cabinet. If you are a parents, loved one, or someone who cares for anyone with ear pain or ear aches, getting a Otoscope for the home is very important. We have taken a look at three different ones on the market today, and have told its importances, differentiations, and what makes each of them work. See what you need, see who you are purchasing it for, and find the best Otoscope for your patient. If money is no object, Welch Allyn has amazing Otoscope’s available, but the other two definitely get you going in the right direction as well. Ear pain and earache’s are things that no one of any age enjoys, so diagnosing it with a ideal Otoscope can help anytime. Find the perfect Otoscope for you and your loved one, and have healthy ear health in the future, knowing you’ve made a great purchase, and have thought of their ear health with your Otoscope purchase.